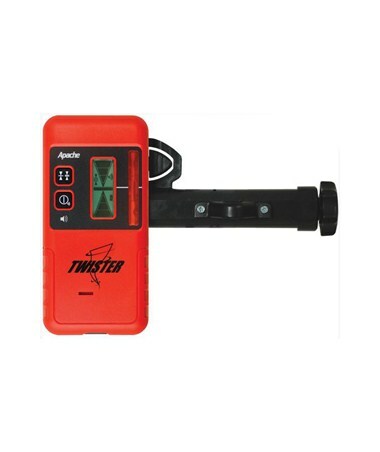 The Seco Twister Red Laser Detector is designed to extend the outdoor working range of any infrared and red beam rotary laser levels. This laser receiver has dual LCD screens, five display channels, two selectable accuracies and a loud beeper for grade information. It also includes a general purpose clamp for mounting to various grade rods and staffs. With front and rear LCDs and five display channels, the Twister offers easy visual indication of detector status and grade information. Construction professionals can choose between fine or wide accuracy levels to meet various job requirements. This Seco laser detector is also equipped with a loud beeper that emits an audible tone that indicates on-grade, high or low. 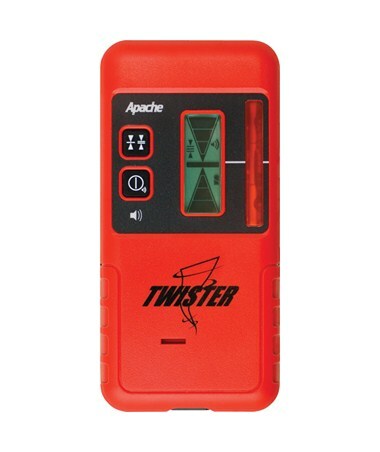 Designed for use in harsh environments, the Twister features an IP-67 rating for dust and water protection. It also has an impact resistant housing and works up to 70 hours using two AA alkaline batteries. This SECO laser receiver package comes with a rod clamp and 2-year manufacturer’s warranty.